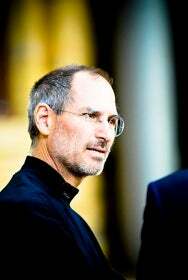 So far this year he's championed organ donation, launched the iPad, and taken Flash to task—and now, Steve Jobs has once again made Time 100's list of most influential people. This isn’t Jobs’s first appearance—the Apple CEO has been mentioned repeatedly on the list throughout the past decade, in 2004, 2005, 2007, and 2008. As of 2010, Jobs has been listed five times—tied with Hillary Rodham Clinton and Barack Obama—and is only three behind Oprah Winfrey, who’s been on the list a whopping eight times. Jobs is featured in Time this month alongside politicians, doctors, bankers, figure skaters, and artists. Check out the full list online.